The free to play champion rotation for this week features Jinx, Karthus, Kassadin, Illaoi, Nami, Renekton, Sivir, Soraka, Vi, and Volibear. plus an extra TEN extra champions as part of the upcoming Hunt of the Blood Moon - Ahri, Akali, Diana, Elise, Katarina, Kennen, Lee Sin, Talon, Yasuo, and Zed. Continue reading for these champions' regular store prices and more information! As a part of the upcoming Hunt of the Blood Moon, ten additional champions from the modes restricted champion pool are also included are in this week's free to play rotation - Ahri, Akali, Diana, Elise, Katarina, Kennen, Lee Sin, Talon, Yasuo, and Zed. 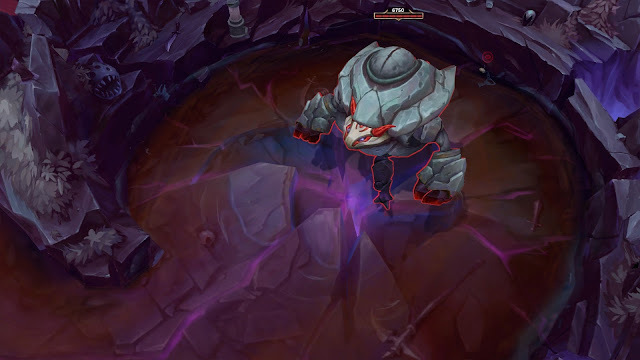 As you may recall, in Hunt of the Blood Moon players are restricted to picking between 20 specific champions, ten of which will be free while the new mode is up in the RGMQ. Look for more details soon! More information on HUNT OF THE BLOOD MOON can be found in our 7.3 PBE coverage.